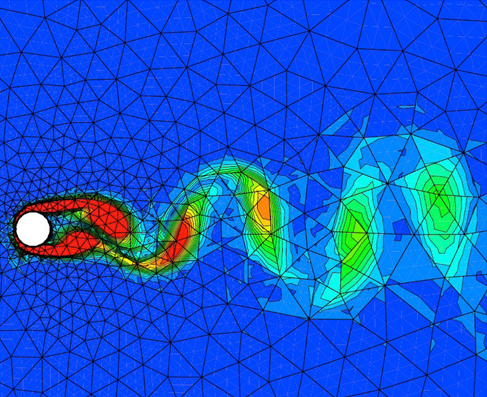 We aim to develop application-oriented computational fluid dynamics (CFD) methods and simulation software. Accordingly, our objective is to meet important industrial requirements such as accuracy, efficiency, robustness, and geometric flexibility. Our current focus is on turbomachinery applications, but since our developed methods are targeted to be universal we are planning to apply our tools to various kinds of fluid dynamics problems. 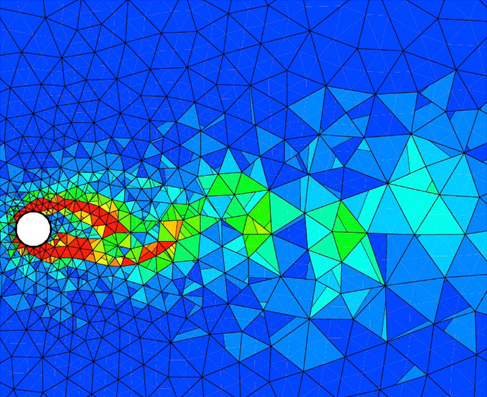 Develop novel, advanced numerical methods and simulation tools for various kinds of fluid dynamic problems. Combine best problem-oriented physical models (RANS, LES/DES), best numerical approaches (finite difference/volume, discontinuous Galerkin, spectral difference), best computer science techniques (C++, massively parallel MPI, GPUs, etc. ).